On 13 July 2015 I visited Morphou once again, and met a man there named Ramadan. My friend Ibrahim had put me in touch with him, and I soon found out that Ramadan was born in 1964. I thought to myself: Surely he is too young to fit within the criteria of my research project; this will be a waste of my time… But I was wrong! Ramadan shared wonderful stories with me of his childhood growing up with Greek Cypriots. Ramadan was born in Kato Polemidia in the Limassol district in 1964, however spent his early childhood living in Koilani (also in the Limassol District), which was a strong Greek Cypriot majority mixed village. Ramadan speaks not only Turkish and Greek; he speaks a gypsy language too. As a child, Ramadan frequently went to the churches in Koilani with his Greek Cypriot friends on Sundays and his friends would often come to the mosque with him, too. 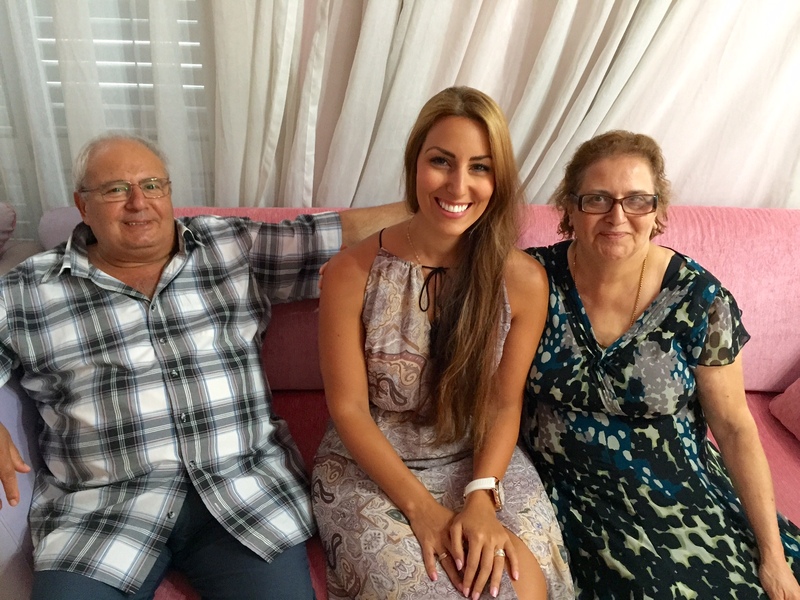 Ramadan’s grandfather was Turkish Cypriot, and his grandmother was Greek Cypriot – so he not only knew of a mixed marriage, but lived within a family grown from such a marriage. He grew up with many Greek Cypriot relatives. When Ramadan was a child, there were less than 80 Turkish Cypriot residents in Koilani. The number of their children was so small that they attended the village’s Greek school. Ramadan had four and a half years of schooling before the war broke out in 1974, and then he moved with his family to Morphou. Ramadan’s older brother was fed by a Greek Cypriot milk mother (süt anne), and dated a Greek Cypriot woman before the war. “Relations were fine back then, before 1974, we were like brothers”. Ramadan was too young to work before the war broke out, but he remembers his family working with Greek Cypriots. He has visited the south since the opening of the border in 2003, and reunited with many of his family members and friends. Ramadan deeply desires a solution to the Cyprus problem, however he is not all that confident that one will eventuate. On 8 July 2015 whilst in Lefkoşa, the north side of the capital, I visited Mustafa with my friend Kudret, who interpreted for me. Mustafa had a lovely home and I was welcomed warmly by his family, including his wife and daughter who showered me with hospitality. Mustafa is a retired senior public servant of the Northern Cypriot government and is very well regarded by the Turkish Cypriot people. Mustafa was born in Alaminos in 1948, he spent his high school years studying in Nicosia, and studied a Bachelor of Business and Economics at the University of Istanbul. In 1974 his family, along with the majority of Turkish Cypriots from Alaminos, moved to Değirmenlik (formerly Kythrea) when the war broke out. Mustafa graduated from university in 1973 and began working in the construction sector, he then joined the Ministry of Infrastructure and Transport. Mustafa does not speak Greek, however his parents did, and Mustafa recalls them telling him that before the war many Greek Cypriots spoke Turkish very well. Mustafa remembers the Greek Cypriot Mukhtar (mayor) of Alaminos was close with the Turkish Cypriots of the village, and that he used to register Turkish Cypriot gifts for Greek Cypriot weddings. Mustafa played soccer with Greek Cypriots as a child, and recalled this activity as a very important form of interaction between the children of each group. Mustafa spoke of the working life of Alaminos. An agricultural cooperation was established, whereby the two groups worked together. They had such a good relationship that they allowed each the other to pick and eat their agricultural crops. “During the harvesting period, Greek and Turkish Cypriots would sleep in the fields and interacted a lot during this time”. Many Greek Cypriot families would invite Turkish Cypriot families to their houses for dinner. Similar to Sadiye and Naile, who are also from Alaminos, Mustafa recalls that only the Turkish Cypriots of the village worked with sheep during this time.